For these projects you will need to have some experience with electronics. Soldering is also unavoidable for some of the more advanced projects. 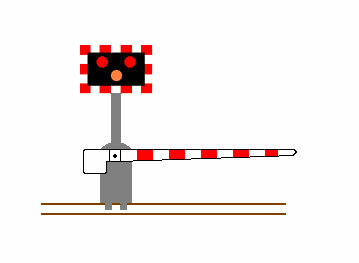 This project will show you how to build a simple Railway signal including the electronics, and the signal itself. 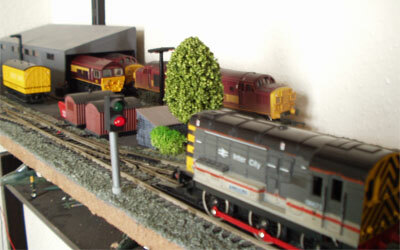 I have built many of these for my layout and they are very simple and cheap to make. This is the simplest of the projects. 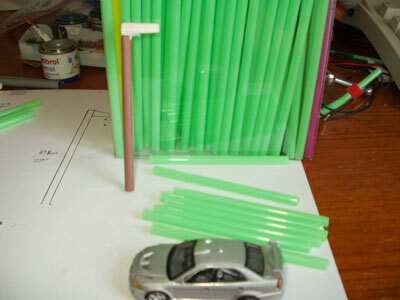 This project will show you how to build two street lights as well as how to put lights in to buildings. This project will show you how to build a model railway crossing with working amber and red flashing lights which can be triggered by either hand or by an approaching train. This project uses more advanced electronics and requires extensive use of a soldering iron. This project is for modellers with some basic knowledge of electronics. If you need basic electronic know-how please visit. This project will show you how to adapt the model railway signal above to also display a platform number (1-2 Higher numbers possible). This is an intermediate project.